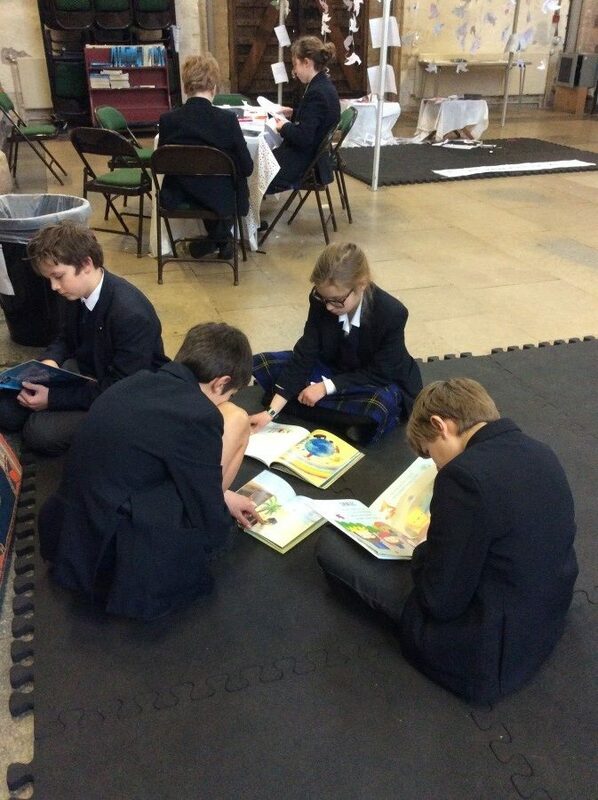 ECS Prayer Space…a roaring success! 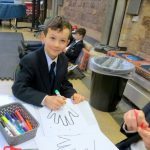 Last week saw the launch of our very first ECS Prayer Space, a two-day festival of prayer, to which every class, from Nursery to Year 8, was invited. 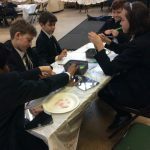 Each 45-minute workshop centred on different ways to pray, tying into the Week of Prayer for Christian Unity’s theme of seeking justice, whether on a personal or global scale. 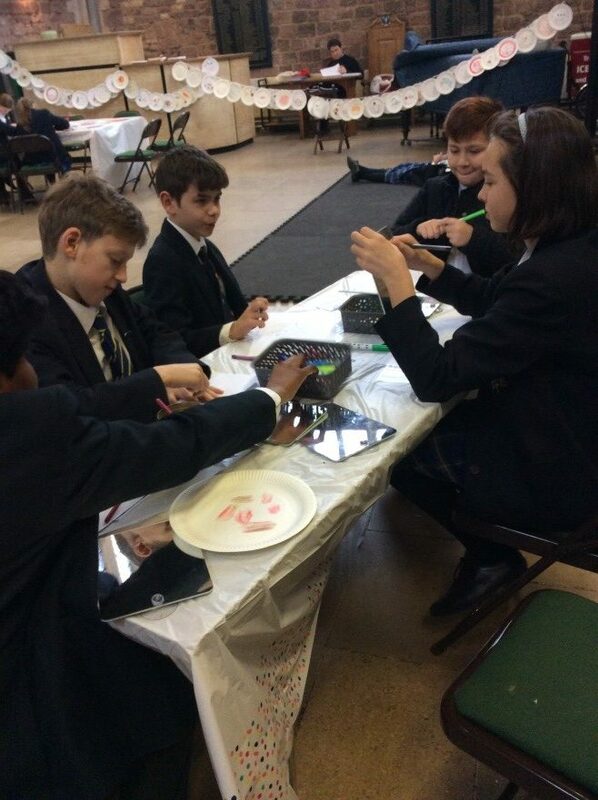 Pupils were encouraged to reflect upon their uniqueness and the gifts they bring to our community, and how much God loves each and every one of us! 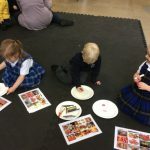 Activities included ‘Unique You!’ where children drew round their hand and filled it with the words, colours and drawings that reflected their own personality, and ‘Empty Plate’ where children drew out their favourite meal, thanking God for their food, whilst praying for those who do not have enough to eat. 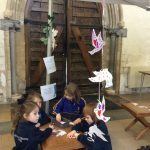 Pupils also had the option of Biblical story time, adding their prayers to the Prayer Wall, or entering the Peace Tent where they could invite God to bring peace to a matter which concerned them, by completing a paper dove and hanging it up. 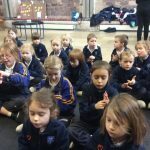 Each workshop finished with a group Prayer Time (for Nursery and Reception) or a Guided Mindfulness Meditation (Year 1 – 8), led by our School Chaplain, Mrs Fitzpatrick. 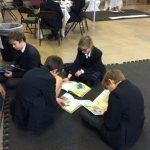 The pupils had a great time, with every class requesting that ECS Prayer Space becomes a permanent fixture in the diary. 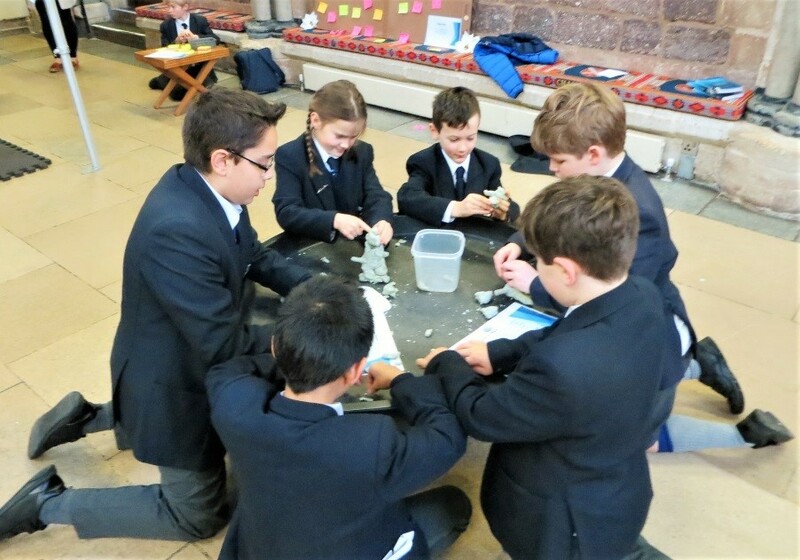 It was so lovely to see our students embrace the creative activities, and enjoy the space and stillness of the Chapter House, where they were able to explore their own beliefs and thoughts, and reflect upon how they as an individual can work to make the world a more just place. 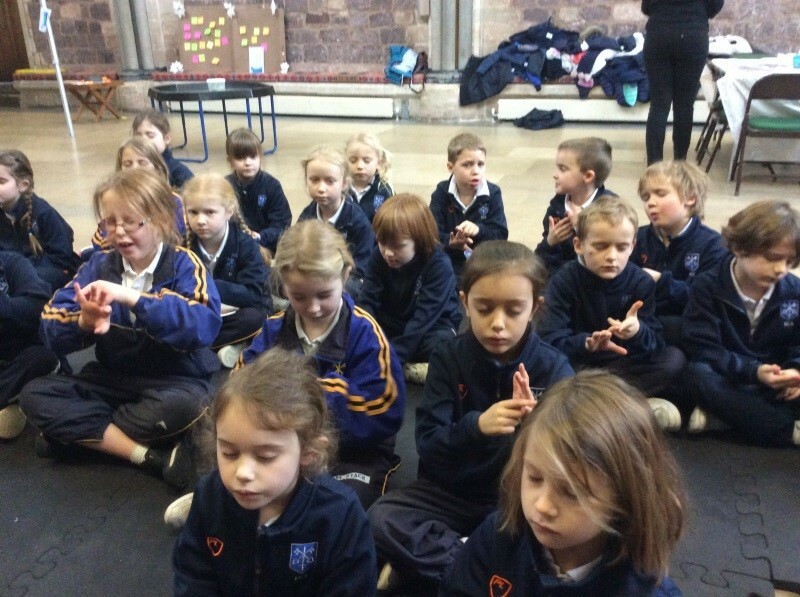 Year 2 Meditating. Each workshop finished with either a guided meditation or a group prayer. 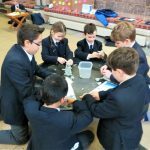 Members of Year 7 exploring a variety of Bible stories. Members of Year 6 learning about the food poverty which exists here in Exeter. 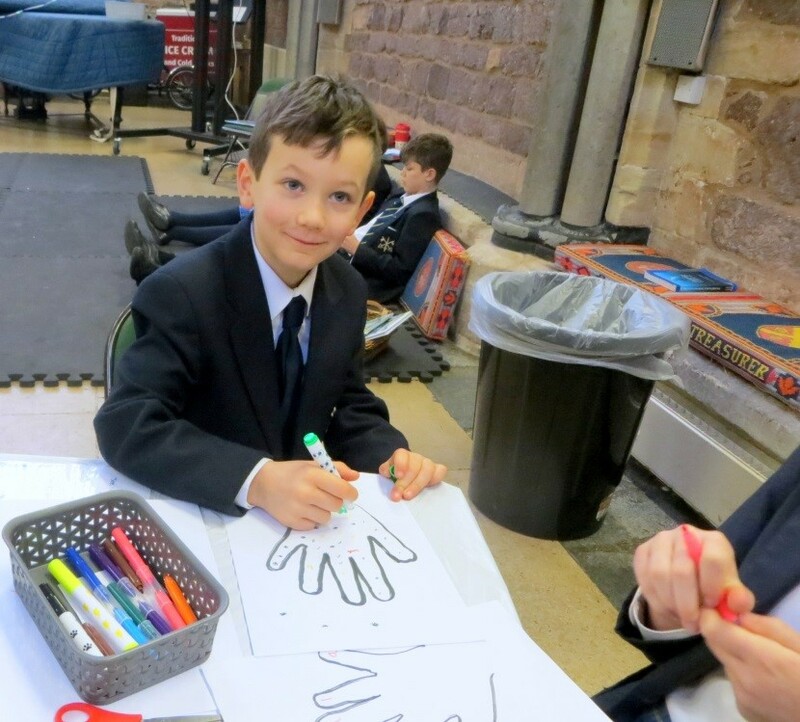 Jacob, Year 4, taking part in ‘Unique You’. Members of Year 4 & 8 reflecting of their special gifts, and the important role each one of them holds as members of the ECS family. 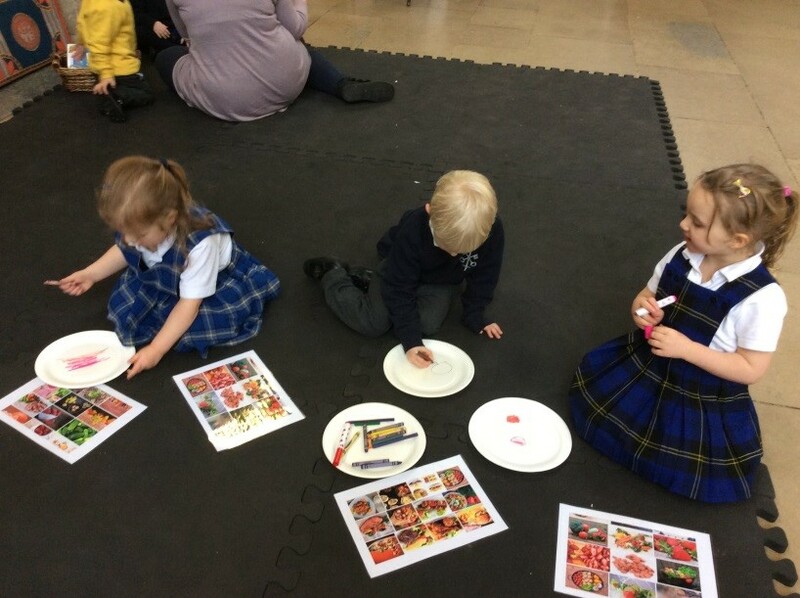 Nursery children drawing their favourite food, and thanking God for it. 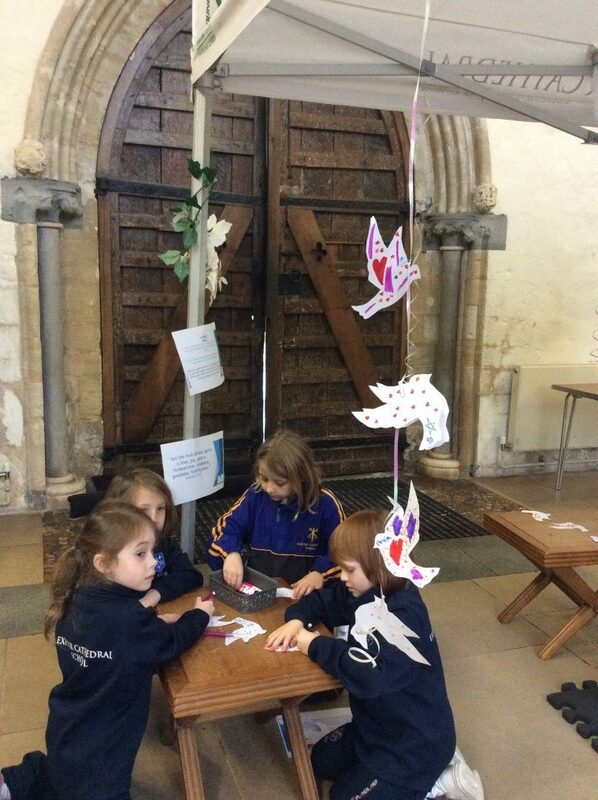 Henry, Evie, Sophie and Emily creating their ‘Doves of Peace’ prayers in the Peace Tent.